Is a multi-disciplinary team led by the Chula Vista Police in partnership with Community Through Hope. We engage the unsheltered in their current location and environment to establish a connection of trust in order to motivate these individuals or families to access local support to regain their self sufficiency. The C.V.H.O.T / Community Through Hope Partnership is currently supporting clients by connecting them to local housing navigation facilitated by several housing authorities who offer subsidized funding for low income housing. The team works together to offer clients a plan to housing and self sufficiency through linking the unsheltered to local resources such as mental health, drug and alcohol treatment and emergency services. Screened unsheltered clients are currently assisting the Parks and Recreation Department in beautifying the City of Chula Vista on specific projects. This program is supported by the McAlister Institute. 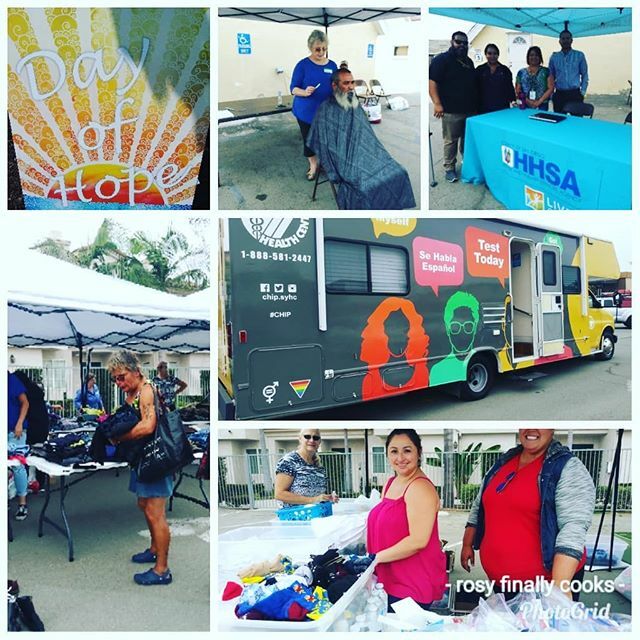 We hold monthly Homeless Outreach event including showers, medical mobile unit, haircuts, C.V.H.O.T providers, hygiene kits, nutrition and clothing. Trained Volunteer Advocates assisting clients with navigating services. Community Through Hope as an active volunteer cadre where the community can engage to support our efforts to address the needs of the unsheltered . More volunteers are needed. Click here to sign up. Our clients receive personal help from our Day of Hope volunteers. We ask our clients what their needs are so we can serve them to the best of our abilities and resources.